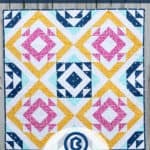 The Triangle Trove PDF Quilt Pattern contains instructions to create baby mat, lap, twin and queen size quilts using an extravaganza of HSTs. This pattern uses the 8-at-a-time Method to create HSTs. Yes, 8 HSTs at a time! It’s a fantastic technique for speedy HST creation and this pattern will show you how to do it. This pattern file also comes with a bonus PDF on HST sewing techniques and accuracy tips (a handy reference). Click on any of the photos below to enlarge (including the fabric requirements and finished quilt sizes). 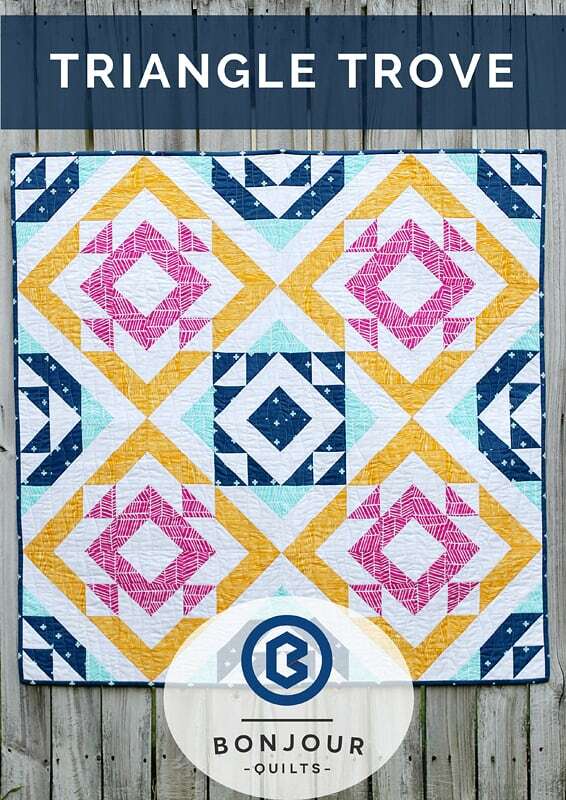 The Triangle Trove quilt pattern (and bonus HST PDF) will be emailed automatically to your inbox in the form of a downloadable link. You will be able to access the link three times before it times out – so make sure you save the pattern to your hard drive before then! If you have trouble saving to an iPad/iPhone (which is common), try saving to a laptop or desk top.